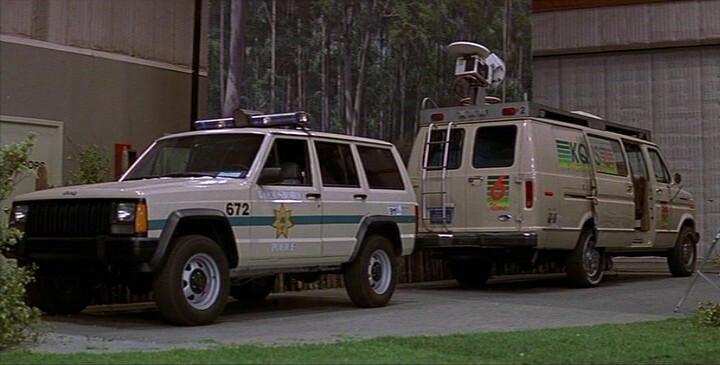 IMCDb.org: 1992 Jeep Cherokee [XJ] in "Scream 3, 2000"
In the first Scream movie the Police Officer drives a 2 door Cherokee. In the 3rd movie they are making a movie about the happenings of the first movie. The Cherokee above is supposed to be a prop in that movie (copied after the one in the first movie). Except it is a four door and not a two door.